Valerie Constance is on a mission. Dark mages have threatened not only her family, but humanity as well and the key to their defeat is the Spear of Destiny. But the gorgeous priest who guards it refuses to team up with her, throwing her plans into disarray. 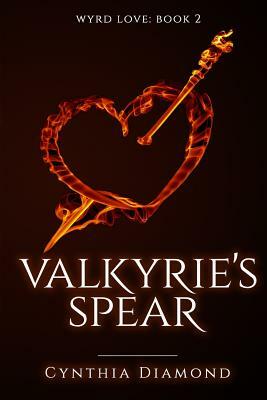 Nothing can out stubborn a Valkyrie except for Matthew DeAngelis. And his smoldering blue eyes and gentle touch entices her like no other has before. Now, Valerie is determined to not only save the world but to claim the man as well.Matthew's soul desire is to return to his home in the heavens. All he must do is protect the Spear of Destiny, proving to his Maker that this fallen angel can rise once more. But when a brazen Valkyrie demands to assist him, his pious world is turned inside-out. Valerie's passion, beauty, and bewitching laugh ignites a fire inside him that he cannot control, forcing him to chose between his duty and his desire. With so much at stake, Matthew isn't willing to fall again.